After 15 years of spending summers and holidays on Oahu, we made the move permanently in 2016. Our dream was always to come to Hawaii and join the community we had come to love. Great Harvest Kahala gave us the opportunity, along with our two boys to call Honolulu home. We are honored to have the opportunity to serve the East Oahu community. The Great Harvest mission statement to be loose and have fun, to bake phenomenal bread, to run fast to serve others and give generously fits how we want to our family to live our lives. Great Harvest Kahala has a history of serving the local community. The bakery has been in the same location since 2003 providing customers with fresh, wholesome, delicious bread for almost 15 years. We are so excited to continue the tradition of having fun, baking phenomenal bread and sweets, making delicious sandwiches and serving our community we love. Great Harvest Kahala is winner of the Phenomenal Bread Award for our Honey Whole Wheat bread! 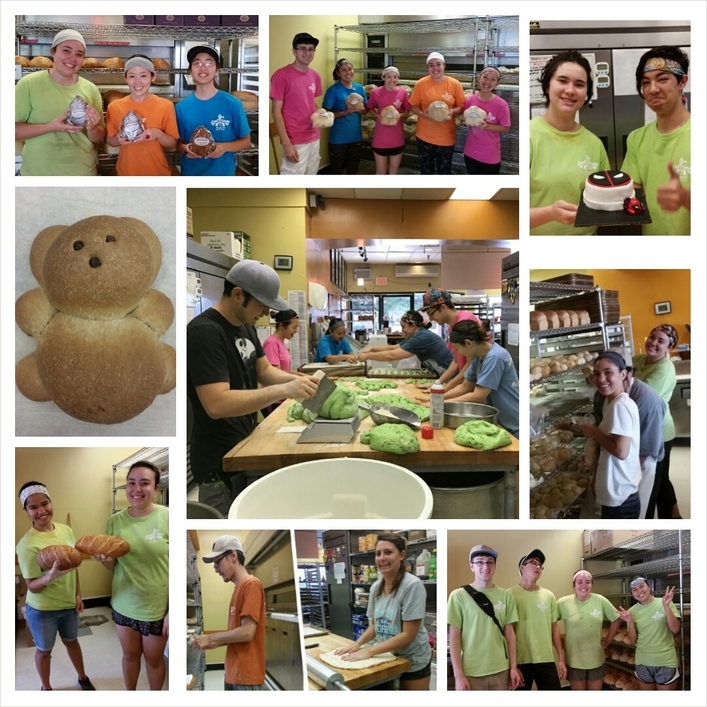 Stop by the bakery to visit our fun and fabulous team, and experience the magic that happens here!